GREGORY BLAIR Nabs “Best Actor” Award Nomination for "HE WAITS"
Sam Ghazi & Cheryl Compton's short film HE WAITS honored with three FANtasitc Horror Film Festival award nominations, including “Best Short”, “Best Score” and “Best Actor” for Gregory Blair. 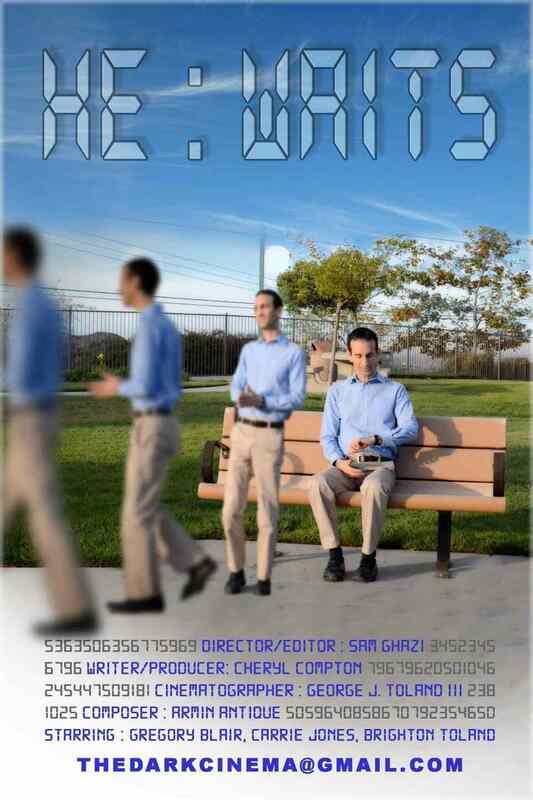 Aug. 20, 2015 - PRLog -- Gregory Blair’s performance as the odd, mysterious “He” who waits in Sam Ghazi & Cheryl Compton's short film HE WAITS has been nominated for “Best Actor in a Short Film” in the 2nd annual FANtastic Horror Film Festival, which takes place this October in San Diego. Nominations were announced ealier this week by Mike and Joanne Thomas, the creators of the festival. HE WAITS has also been nominated for “Best Short” and “Best Score” (Armin Antique). The film will make its San Diego premiere at the FANtastic Horror Film Festival on November 1st in the shorts block that begins at 11AM. The awards will be announced later that evening at a gala function. Comedy/Horror film GARDEN PARTY MASSACRE Nabs Two Indie Horror Online Skulle Award Nods! GARDEN PARTY MASSACRE and Gregory Blair Claim More Awards Including "Best Director of the Year"!